For the second year, the Lions Club Mondial Maastricht, together with the German Lions club Eschweiler Stolberg, upheld the euregional cooperation and also served a good cause. 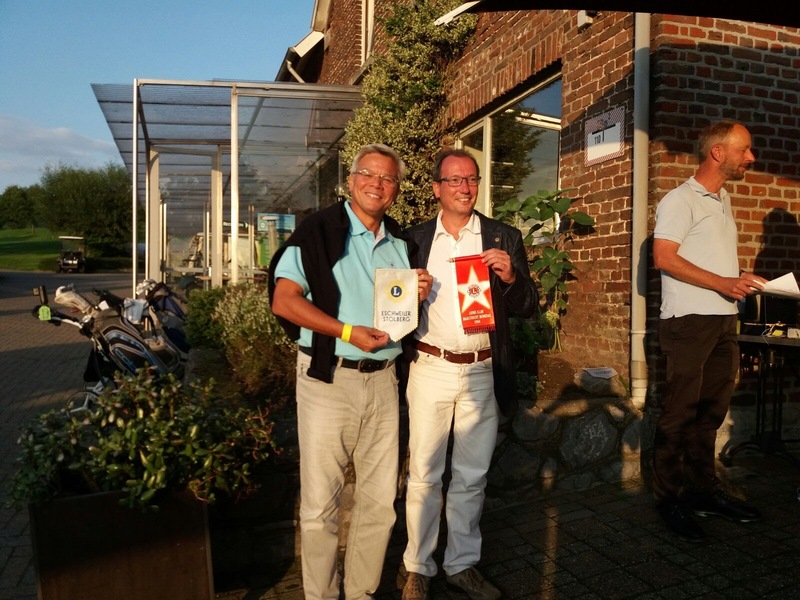 Both clubs organized a golf tournament on Belgian territory on Sunday 26 August 2018, namely at the Mergelhof golf club in Gemmenich. Under a bright sun, around 100 international participants enjoyed a sporty and social gathering, a fantastic tombola with great prizes and a delicious barbecue. The proceeds of this day will benefit the Ronald McDonald House in Maastricht. On the 14th of June 2018 we made the children at Steyntje happy with lots of "home made" pancakes. Yearly we give our time to give both children and staff of Steyntje a break of their daily acitivities. Together with Lions Club Eshweiler Stolberg and the golfclub Mergelhof in Gemmenich we collected 3.200 € on august 13th 2017. At the international Golfclub Mergelhof in Gemminch there is always a wonderful mix of languages that makes the Euregion so special. French, German and Dutch are happily spoken in a nice mix. On Sunday 13th of August there was a 4th language added, English as it is the language the Maastricht Mondial Lions club speaks. The Golfclub Mergelhof hosted the Lions Club Eschweiler-Stolberg and Lions Club Maastricht Mondial in a great tournament, barbeque and raffle to raise money for two organizations that help investigation in and children with cancer. More than 80 people joined together to play the 18 or 9 holes Golf tournament and/or to support the Lions clubs by participating in the putting tournament, the raffle and barbeque and raised, while playing and enjoying themselves 3.200 € to beat cancer. The successful event will have a 2nd edition next year where we hope to meet even more people that are willing to spend a beautiful day at a beautiful golf course and in the meanwhile, without even noticing raise money that is needed in the battle against cancer. Lions Club Maastricht Mondial organised the first-ever Aperitivo in the beautiful Eyserhalte in Eys, welcoming 70 guests for an "Italian High Tea" for an afternoon of leisure combined with a wide variety of Italian "hapjes". Het Fietsbank - Supporting families with access to and repair of bicycles. Lions Club Maastricht Mondial (LCMM) Projects: “Making a Difference”. Donations Chair: "The donations policy of Lions Club Maastricht Mondial is based upon the maxim of “making a difference”. With the exception of a few Lions International projects where we gladly contribute (e.g. the Tsunami of 2005, where Lions worldwide donated US$ 6 million) we carefully select our own LCMM projects and manage the support to make sure that the money is well spent and really does “make a difference”. Sisters of Mercy Ear Hospitals, Ethiopia. Two clinics treating sufferers of endemic ear conditions in Ethiopia run by a former Professor of Ear Nose & Throat Surgery and a fellow surgeon from the Netherlands, who devote several months a year of their own time to train local doctors and nurses. This has been a long-term LCMM project which from 2002 thru 2010 has benefited from more than €25,000 in support from Lions Club Maastricht Mondial in collaboration with the Dutch Government Organization Cordaid. LCMM and Cordaid were this project’s only sources of funds and has been essential for its success. Cedric Paulussen Foundation: A project by the University Hospital of Maastricht, to develop and build a crash safe and incentive care like mobile pediatric unit dimensioned and dedicated for transport of critically ill or injured children. Lions Club Maastricht Mondial donated the first €10,000 to seed a foundation to raise funds for this €350,000 project. In the meantime the first unit has been delivered and 7 more are now being built for the other university hospitals in the Netherlands. St Vincentius Foundation, Maastricht: LCMM donated €2000 to fund food for people in need, including Christmas hampers. 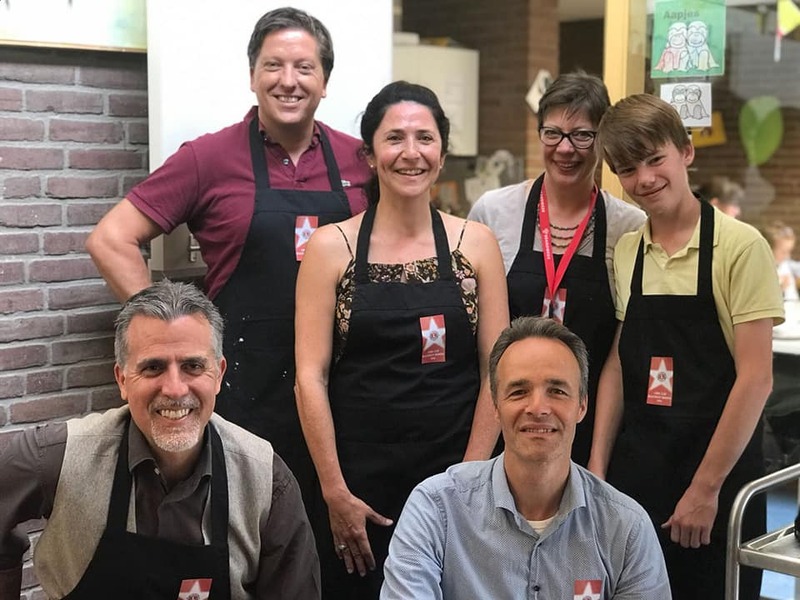 Stichting Impulse: A Maastricht foundation providing short term shelter for individuals who unexpectedly through circumstances become “homeless”. The need for a kitchenette on the third floor allowing residents to prepare meals or simply make a cup of coffee was provided for when LCMM donated €5000 to fund the purchase and work to install a kitchenette and a coffee machine. 2009 Charity Gala Event on St Valentine’s Day, the children’s cancer department to bring essential comforts for the children and their parents. 2010 Charity Gala Event: 100% of the profits were donated to secure funding for eight nurses of the children’s oncology ward for specialist training so that the children will continue to have the best care available. Franciscusoord in Houthem: Day out for ‘Duchenes Syndrome’ kids from the ‘Franciscusoord’ in Houthem: These children suffer from a rare form of muscular dystrophy and are bound to wheelchairs with special breathing equipment. Getting them out is a challenge. In 2006, LCMM arranged a specially equipped bus and took them for a day out to the Burgers Zoo in Arnhem. Apart from the costs of €3000, LCMM members and nurses devoted a day’s free time to go with them. Cataract operations in South Africa: The Lions Club in Worcester, South Africa, arranges ophthalmic surgery to treat very common cataract conditions amongst the poor. Local surgeons provide their time free of charge, so it costs merely US$110 to save a person’s sight. But the need is huge. LCMM donated US $1100 to finance 10 operations in 2006 did the same again in 2008. Ecology and English summer camp in Kazakhstan: A three-week summer camp in Kazakhstan in cooperation with the US Peace Corps for 30-40 students between 6 and 17 years of age where they learn English and address ecological issues, a major problem in highly polluted Kazakhstan. Lions Club Maastricht Mondial has annually funded this camp with €750 since 2003. An example of where a little money can achieve a great deal. DVD player for the ‘Franciscusoord’ centre for disabled children: Again, a little can do a lot. The children’s video recorder had “played its last tape” and a replacement was needed. €299 bought them a DVD home cinema system. In 2007 we followed with a PC and an Internet connection to give them more access to the outside world. Kindervakantiewerk Hulsberg: €700 to pay for the bus to take a group of deprived children on a holiday. Hospital in Cambodia: The staff of this hospital modernized a ward in their own time. €600 from LCMM bought the materials they needed.